The 2014 Range Rover Sport has just been taken back to the three-door roots of the original Range Rover. 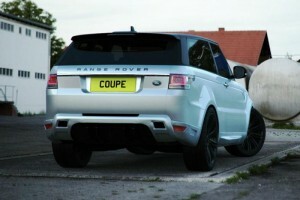 The job was handled by London-based developer Bulgari Design, which has come up with a “Coupe” version of the SUV. Bulgari Design, which has been playing with Range Rovers since 2004, wishes to give a new identity to the 2014 Range Rover Sport. Thus, they’ve come up with a three-door conversion for the Brit, which is accompanied by a wide range of exterior and interior mods. B U L G A R I Design has created an incomparable blend of power and luxury in line with the tradition of “Coupe” styling, producing the best SUV ever produced. Our bespoke design programme available to everyone ordering a Coupe, allows the customer to tailor their car to their own individual taste, utilizing sumptuous Italian Nappa leathers available in numerous colors, giving the owner a unique luxury Coupe which is also an expression of their personality. 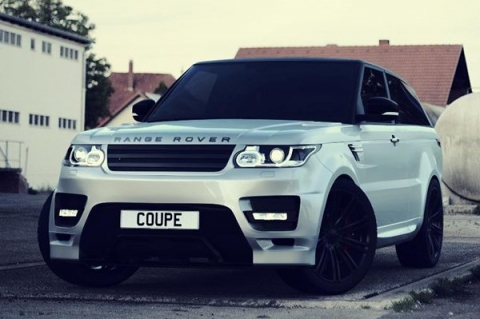 The Range Rover Sport Coupe comes with a full three year warranty. Servicing and warranty work can be carried out at your local Land Rover dealership. The new Range Rover Sport Coupe By Bulgari Design is limited to only 100 units and will hit the open market in the first quarter of 2014. Prices should start in the £150,000 range, which is about $250,000 at the current exchange rates.